Twelve-year-old Hannah -- who has been fitted with the Mirage, a high-tech visual prosthetic to combat her blindness-- wonders why she sees shadows surrounding some people. Holy hell, what did I just read?? Twelve year old Hannah has been fitted with a device called Mirage that’s very Geordi La Forge, and when she sees through it, she can detect auras around certain people that she wasn’t able to see before. From that moment forward, the story just gets weirder and weirder. Hannah’s technophobic aunt, Lela, is a reporter who is always chasing after the next story. Lela once interviewed a guy named Mike Juniper for a lead, and Mike Juniper is a former child evangelist who has a host of weapons in his homeless shelter’s basement to ward off attacks from demons. The demons of the near future don’t possess people like they used to. Everything, including possession, has gone digital. 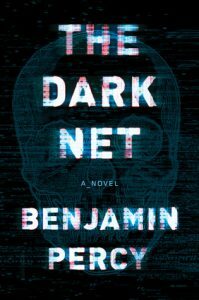 Benjamin Percy’s The Dark Net is a demonic techno-thriller that makes you think about all of the information we willingly or inadvertently give to the all-knowing Internet. With the widespread hackings of consumer data over the last few years, with our constant life updates and thoughts on various social media platforms, one has to wonder what’s being done with all of that information. We’re being reduced from DNA to ones and zeroes. Our lives, our life data, is collected, traded, and sold by users of the dark net, and ultimately is used against us in the end. I don’t want to give too much of the plot away, but I thought that the dark net used in demonic practices and zombie apocalypses was a fascinating twist. It’s not something you often think about in our digitally infatuated age. It’s not something we can escape at this point, so how are you going go guard your data, your privacy, and quite literally your life? The Dark Net is a creepy thriller that riffs on horror and zombie tropes, and it’ll make you think twice about the information age. 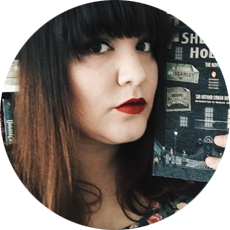 Thank you to Houghton Mifflin Harcourt and Netgalley for a review copy! All opinions are my own.